Stock Low : 234 items left. 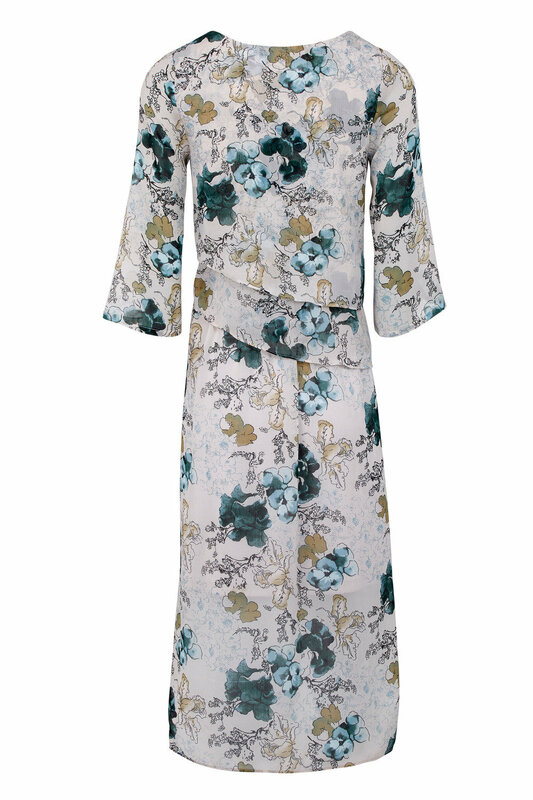 Floaty and feminine, in a beautiful floral print from the New Heritage trend, the Kaleidoscope Two Tier Midi Dress in chiffon is this season's must have purchase. With over the head styling, it features a scoop neckline, two tier floating asymmetric bodice to front and back, elasticated waistband and three quarter length sheer bell sleeves. It's crafted from a quality blend of fibres to ensure comfort and durability. • Measures approx. 112cm from shoulder to hem. An ideal piece to take you through the season - wear with sandals and bare legs or layer up with a cardigan and long boots.